“Upcycling” is the process of turning useless objects or waste materials into something more valuable and more desirable. Vazva collaborates with a bunch of small entrepreneurs to not only support their great visions, but also help to give new life and style to broken and discarded products. For us sustainability has a big significance. We always try to find ways to make beautiful products with a low impact on our planet, to make sure our resources are handled responsibly. 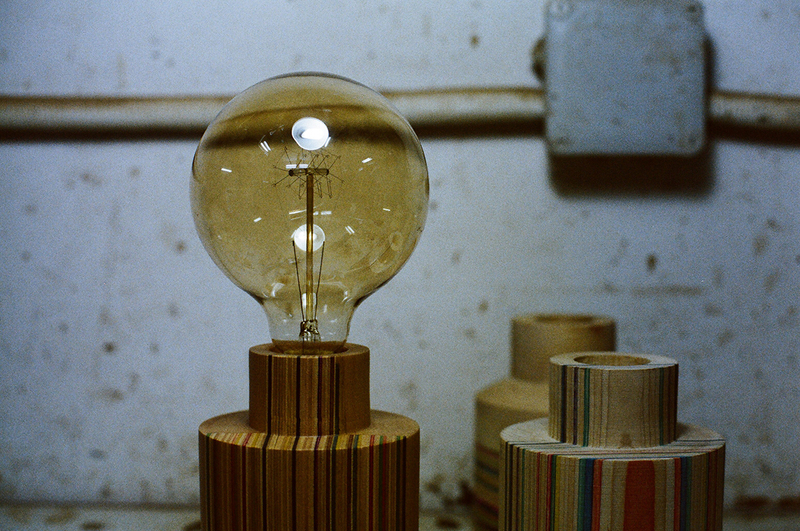 Together with Ariel from KHETT, VAZVA transforms used, beloved and destroyed skateboards into exclusive lamps. Skateboards are usually made of seven layers of extremely robust Canadian marble wood. Due to the excessive use on the street, in bowls and skate parks, the decks sometimes crack and most likely wander straight into landfill. By collecting and upcycling this colourful material, we give a second life to the broken skateboards. Carefully manufactured and in varying colours, every hand-crafted piece is unique and ready to give some street flair to your home. We live by the ocean and watch sailboats leaving the harbour every day. Their sailcloth is extremely durable and lasts a long time – but due to the stormy conditions here at the Atlantic, not indestructible. The life of the sailors is dependent on unharmed material.Once the sailcloth can no longer be used properly, as the sailor’s safety can’t be guaranteed, the sailcloth’s are usually sorted out and thrown away or burned. 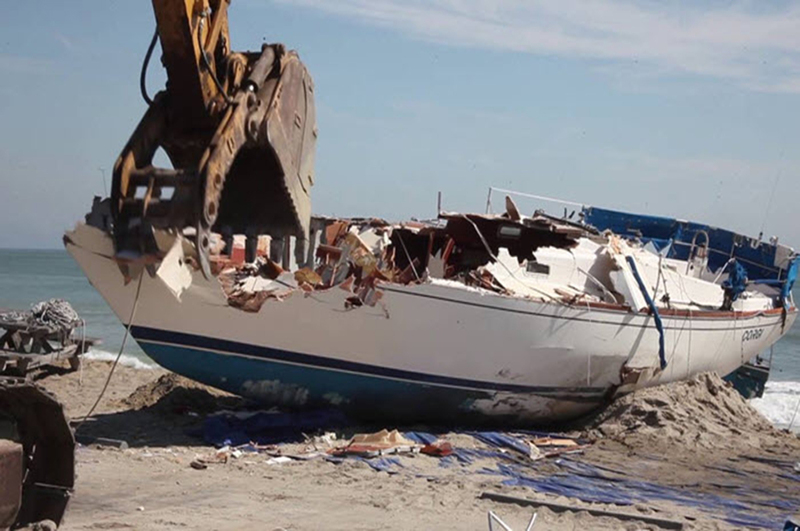 Working together with 39 knots we want to give the discarded sailcloth a new life. They may no longer be able to be usedat sea, but they are ideal fabric for durable bags or wallets. VAZVA soy wax candles were born through the dedication to nature, combined with the desire of a cozy indoor environment. Seeing used beer and wine bottles going straight to landfill after being emptied required a reuse with purpose. 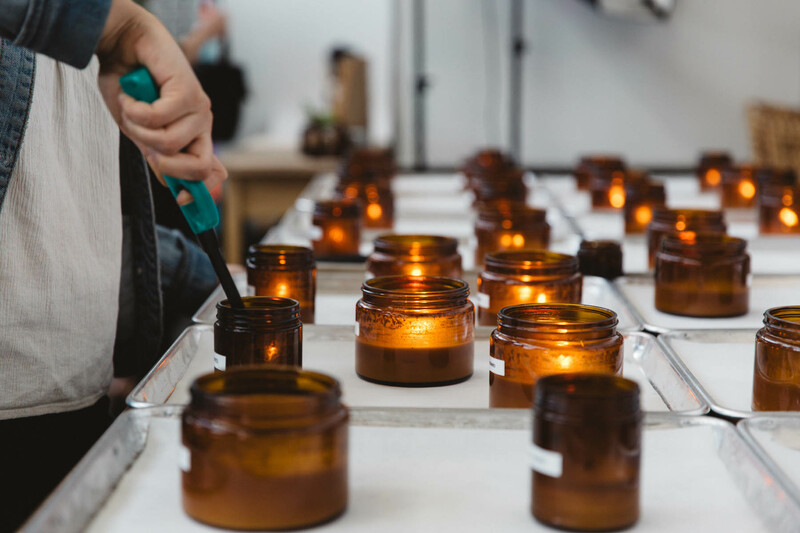 Hand poured in Galicia we use 100 percent natural soy wax to craft clean burning candles with fine fragrances. Why soy wax? Because it is a good plant based and environmentally friendly alternative to paraffine. It is a renewable resource, carbon neutral and 100% biodegradable. 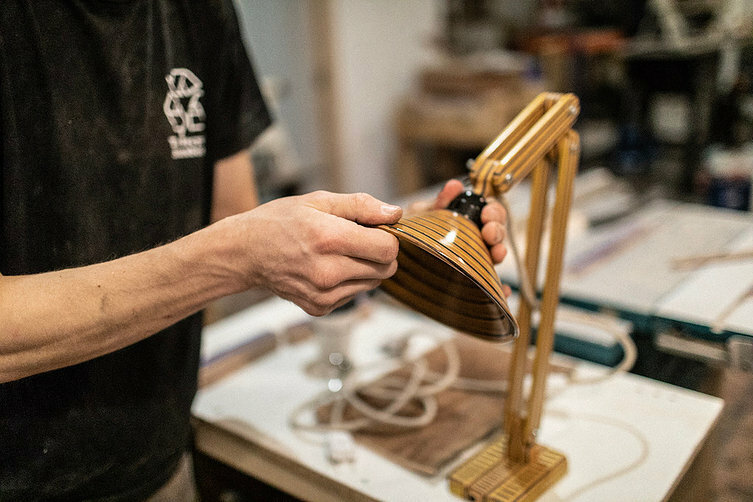 Handmade skateboards from recycled wood is the result of the collaboration with Derek and Lauren from DL skateboards. The Californian couple produces the boards in a retro styled truck in New Hampshire and only uses local wood and painting. Derek, who is a furniture designer, shapes the boards and then Lauren paints them. The decks are inspired by the classic California style of the sixties and look similar to surfboards. Every single one of them is a handcrafted functional piece of art that wants to be used. For the project The Recycled Skateboard we joined forces with Tom, a young Canadian who came to live in La Coruña for the love of skateboarding and his partner. 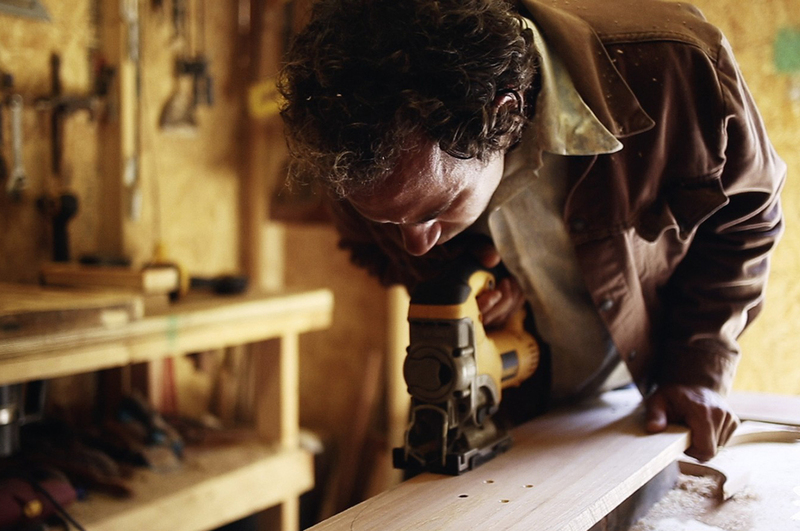 Together with Tom we design beautiful and decorative items, handcrafted with care in Galicia. Made from skateboards that no longer can be used for skating, we create all different kind of products like keychains, chopsticks and plant pots. Due to the variety of different skateboards all finished products are unique and exclusive. Through the transformation of “waste products” into these new items, we contribute to the protection of our environment by saving the material from landfill and giving them a new purpose, so they can be used and loved again. Neopren – we love it! It keeps us warm and cosy during our sessions in the water. In many areas, especially here in Europe, we could not enjoy surfing as much without it. Usually neoprene is made from crude oil or limestone. Both are non-renewable resources, which are produced with great energy expenditure. And what happens to the wetsuit after it has served its time? Normally it goes straight to landfill. We try to change this and found an option to reuse the material. Even though the neoprene is not good enough for keeping us warm in the water anymore, it still is amazing for protecting our ipad and cooling our drinks. 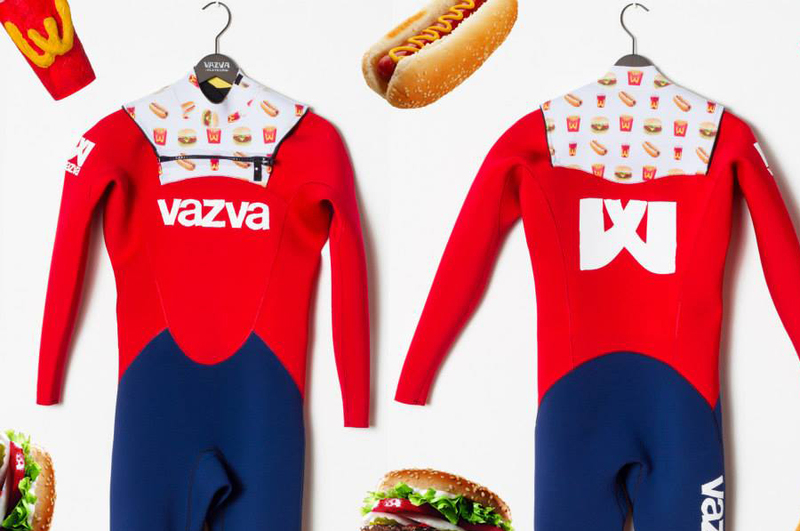 We developed some designs to upcycle used wetsuits and turn them into products with a new purpose.